The St. Louis office of Lewis Rice is pleased to announce the following attorneys have joined the Firm as associates: Kelly M. Gorman, Jay Ji, Justin M. Ladendorf, and Krista C. McCormack. All previously participated in our Summer Associate Program. Kelly M. Gorman will practice in the Corporate Department. She received her B.S. in Sociology from Truman State University and her J.D. from University of Missouri School of Law. While in law school, Kelly interned with Mid-Missouri Legal Services. Kelly also worked as a summer clerk for United States Senior District Judge E. Richard Webber. Jay Ji will practice in the Corporate Department. He received his B.A. in Political Science from University of Chicago and his J.D. from Saint Louis University School of Law. During law school, Jay worked as a judicial intern for U.S. District Court Judge Michael J. Reagan. Prior to starting law school, he worked for a year at Horizon Group, Inc., a furniture supplier based in China and in St. Louis. Justin M. Ladendorf will practice in the Litigation Department. He received his B.S. in Finance from Millikin University and his J.D. from Saint Louis University School of Law. 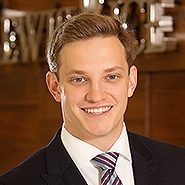 While in law school, Justin worked at the State's Attorney's Office in Madison County, Illinois and at the United States Court of Appeals for the Eighth Circuit as an extern for the Honorable Raymond W. Gruender. 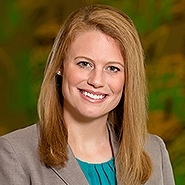 Krista C. McCormack will practice in the Litigation Department. She received her B.A. in Communication from Truman State University and her J.D. from Washington University School of Law. While in law school, Krista worked as a Judicial Clerkship Extern for U.S. District Court Judge Rodney W. Sippel. As an undergraduate, Krista was a legislative intern for Missouri Senator Kurt Schaefer.